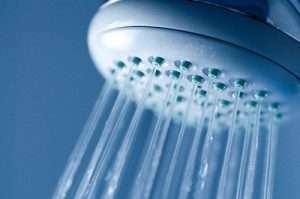 Taking a shower with hot water can be very relaxing and feels amazing, but you should consider taking a shower with cold water sometimes. Taking a shower with cold water has been proven to be beneficial in a lot of ways, including weight loss, reducing anxiety and for your skin. There are even shower heads built especially for cold shower lovers. Well just think about it, taking a shower in a cold winter morning with cold water. Sounds like hell right? Well if you can force yourself to take a shower with cold water that will create a great will power in you, which then can be applied to other areas in your life. Hot showers damage your hair. You might have noticed that when you use a hair straightener or a low quality hair dryer, your hair gets damaged from the high temperature. Well the same thing applies to hot water. Taking hot showers removes all the natural oils from your face, which causes your face to become dry. You probably already know that dry skin equals acne and other unwanted diseases. Hot water also opens all your pores, and that’s a bad thing because germs and other kind of infections can get in your skin. This is extremely useful if you are a body builder or a fitness fan. If you’re a fitness fan you probably know that higher testosterone equals higher protein synthesis, and that equals more muscle gain overall. them warm. I would suggest doing this in the morning, because it will also help you get awake faster. If you watch a lot of TV or YouTube Videos, then you’ve probably seen that in a village in Russia, they dip their newborns to cold freezing water. Back then we used to laugh and call them stupid, but you should know that cold water improves your general immunity. Another benefit for bodybuilders. Cold water speeds up the muscle recovering process, and makes the soreness go away much faster than it normally would. Popular footballers and other sportsmen always take cold showers, because it helps them a lot with muscle injury recovering. Cold showers in the morning are the best ‘coffee’ you can get for your body. The cold freezing water will activate all your organs and make them function properly. I hope i made your mind to start taking cold showers. It definitely is very hard at first, but you will get used to it over time, and you won’t ever go back to hot showers. You can start by lowering the waters temperature gradually until you get used to it. Good luck!